As co-founder and co-CEO, John has seen Whole Foods grow from a single store in Austin to a $13 billion Fortune 500 company. Mackey co-founded the Conscious Capitalism Movement to challenge business leaders to rethink why their organizations exist, and to acknowledge their roles in the interdependent global marketplace. The Convention Planning Committee is putting the final touches on this year's exciting agenda. Please check back soon for the full agenda! 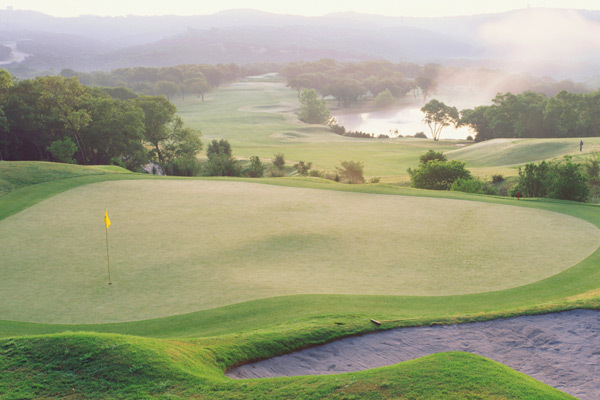 Taking place at Barton Creek’s Fazio Foothills, attendees will tee off in the midst of dramatic cliff- lined fairways, waterfalls, natural limestone caves and superb TiffEagle Bermuda greens. Well-maintained greens, challenging layouts, and stunning vistas come together in perfect harmony and create endless entertainment for golfers of all skill levels. The JW Marriott Austin is the official Convention hotel. Registrants are required to make their own hotel reservations. Discounted rates are only available through Marriott. CFA has not partnered with any outside companies and recommends you deal only with the Marriott to book your room. To receive the discounted Convention rate of $272 per night, you must click here to make an online reservation. The cut-off date for reservations at the discounted rate is Friday, October 16, 2015. There are only a limited number of rooms available at this rate so you are encouraged to make your reservations as soon as possible, the rate and availability cannot be guaranteed. Experience the quiet luxury of a JW Marriott hotel, as attendees welcome the 1,012 elegant, oversized guest rooms, countless amenities and superior location near the best entertainment options Austin has to offer.